Happy New Year! 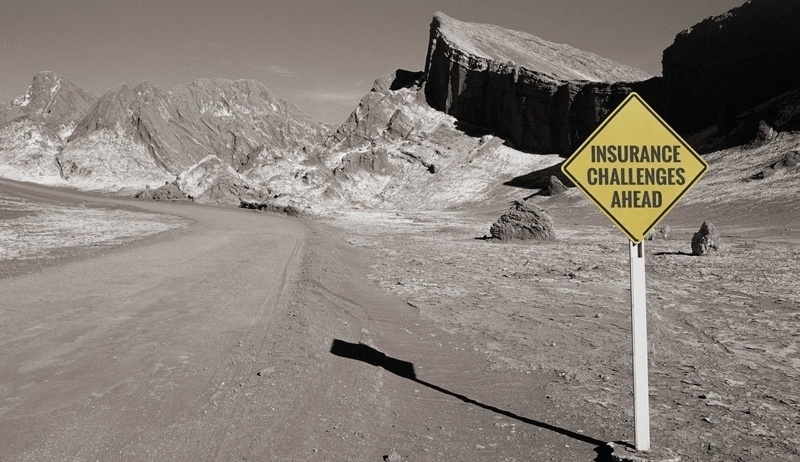 Let’s start 2018 with a favorite topic: insurance disruption. The Risks of Hazard has explored this in the past, again and again. Let’s see what’s new in 2018. It’s the Return of the Bill, as the Flood Insurance Market Parity and Modernization Act has been reintroduced to congress with bipartisan support. As every reader of this blog knows, that’s the bill that will help open up the U.S. flood insurance market for insurers, offering property owners options beyond the National Flood Insurance Program (NFIP) for protection. All the trade groups are behind it, including Big I, PCI, NAMIC, and others. But the main reason for excitement is the benefit to society – there remains an enormous Protection Gap on U.S. flood. Every time we read about big floods, one of the statistics is how many damaged homes and buildings were NOT covered for flood – in the Baton Rouge flooding in autumn 2016, it was about 80% of damaged property that was without coverage. Let that sink in…Louisiana (home of some of the most famous floods in history) had only 20% coverage for these floods. It is crazy. Critics of the NFIP frequently point to its historical deficit ($23B, and counting) as the most damning evidence of its failure. From society’s perspective, it is this lack of coverage for property owners that makes it a failure. So, the passage of the flood bill is an important first step to fixing this messed up system. But only the first step – ensuring property owners have protection from the very real threat of flooding will be the success that matters. 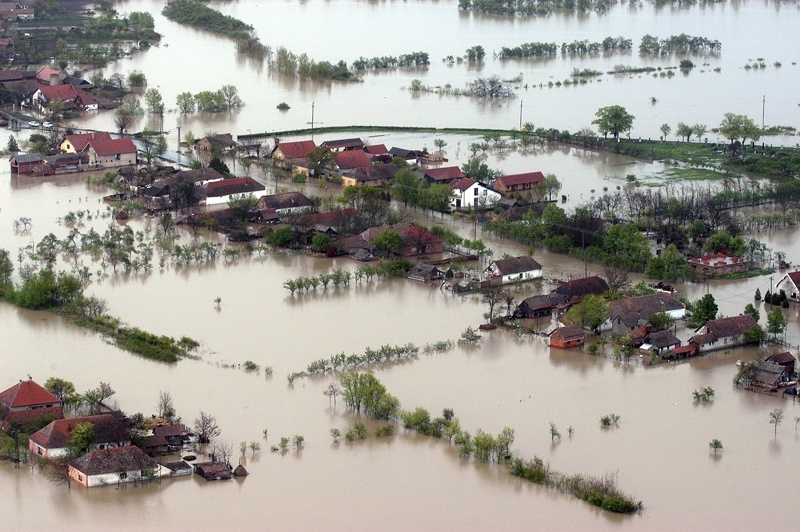 For that to happen, flood insurance needs to become a peril covered by all property insurance. 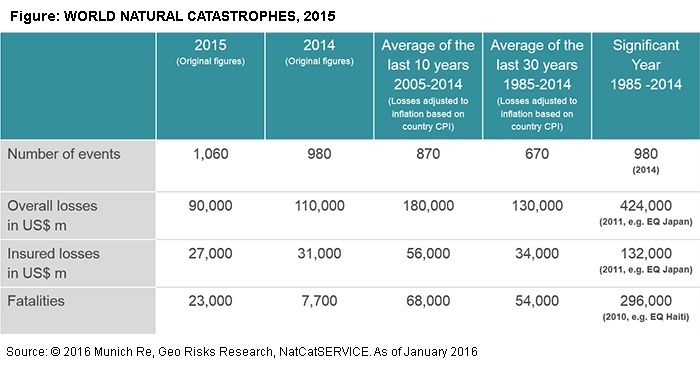 Last month I watched a webinar from Advisen Ltd. titled Natural and Man-Made Catastrophes in 2015 - Calm Before the Storm? Swiss-Re was the sponsor, and it featured analysis by two distinguished gentlemen: Thomas Holzheu, Chief Economist Americas from Swiss Re, and Robert Hartwig, President of Insurance Information Institute. If 26,000 casualties last year aren’t enough, there is some fascinating loss information and some frightening predictions if we assume that status quo continues to be the norm. Usually financial results are black and white, positive or negative, good or bad. However, the analyses of the P & C underwriting results from 2015 are coming in and looking decidedly gray – neither good nor bad. On the one hand net premium grew, and the combined ratio was still in the black. Not only that, it’s the first time in over 40 years that there have been three consecutive years of positive combined ratios. Great! Right?